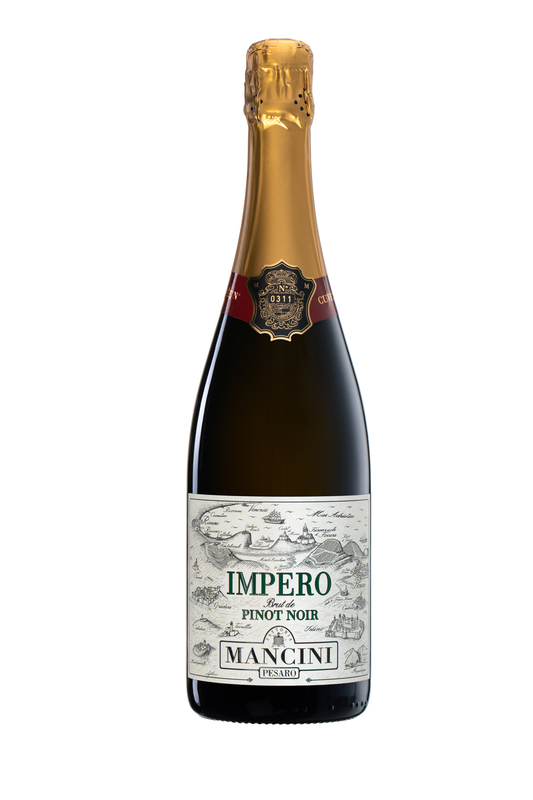 IMPERO Brut de Pinot Noir is the latest wine to be developed using Fattoria Mancini’s long experience in white vinification of Pinot Noir grapes. Made from a blend of five vintages produced from 2006 to 2015, the first Cuvée went on the market in 2017. The base is made by whole bunches soft pressing, followed by barrel fermentation, oak aging for seven months and finally bottle refermentation in the Estate’s own cellar as a Metodo Classico. The blending of so many vintages in the cuvée gives this wine impressive complexity and persistence. The distinctive mineral and sapid character produced by the soil on the cliffs of Focara completes a very individual sensory personality.